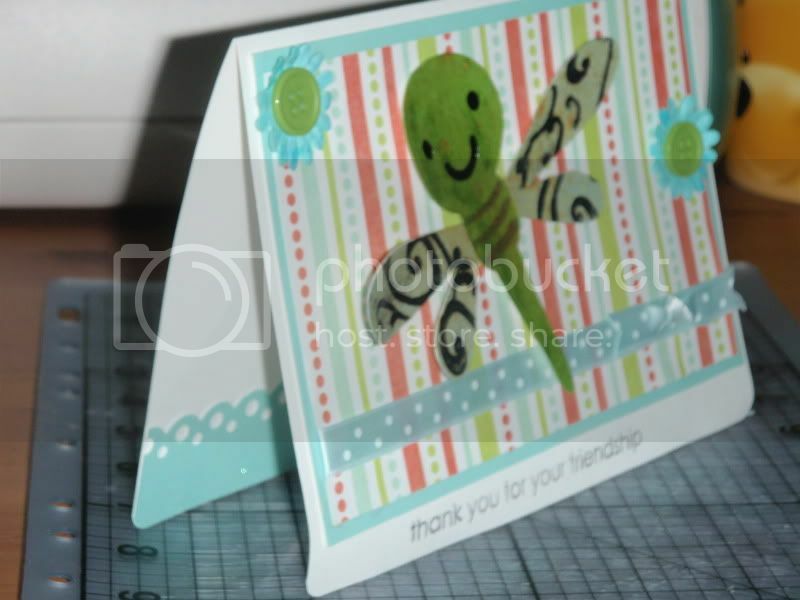 I'm making a few cards for my auntie to send to her friends. Since they're not for Operation Write Home, they can be bigger than the A2 cards. 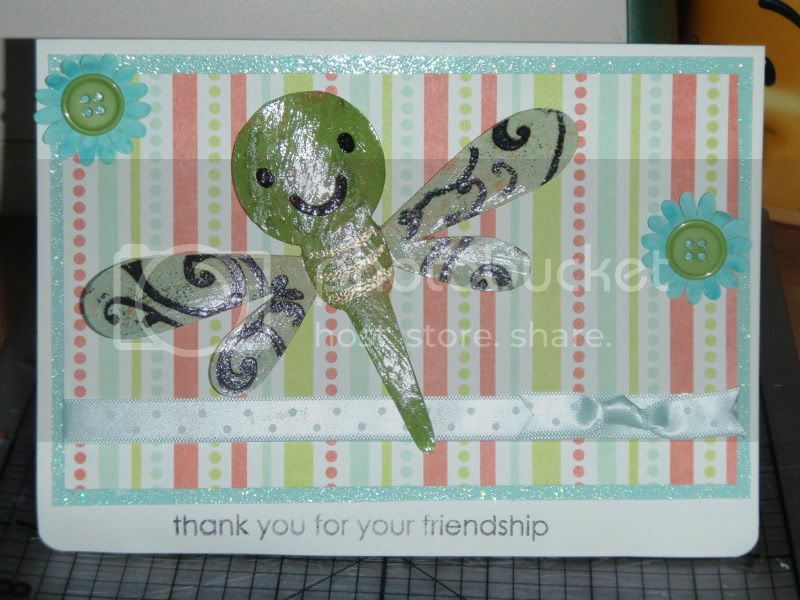 - Pattern paper from my stash cut at 4 x 6.5"
- Dragonfly, p. 24 of Create a Critter, cut at 3.75"
- Stampendous stamp - "Happy Messages"